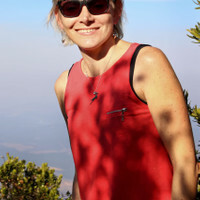 Tanja is our Destination Expert in South Africa. Tailor made Itineraries to suit your budget and wishes. Nature, Outdoor and Wildlife Enthusiast. "From beginning to end Tanja was superb. She put together a varied and fascinating package on quite ...". Private tours and transfers throughout the tour. Hand picked locations and establishments based on personal experience. Exceptional safari experience in a small group in one of the best game reserves in South Africa. Personalised service at all times. Enjoy a 10-day programme focused on three major highlights of South Africa. Go on an African Safari, and experience the magnificent Blyde River Canyon, Kruger National Park, and Cape Town and the Winelands. Spend a day with your guide exploring the Blyde River Canyon before heading off to a private game reserve for your luxury safari experience. End the tour in Cape Town by exploring the city, Table Mountain, Robben Island, the Cape Peninsula, and the Cape Winelands! 9x nights accommodation in a double room/safari tent in 4-star accommodation. 9x breakfast, 2x lunch, 5x dinner. Soft Drinks while staying in Timbavati Game Reserve. Informative instruction relating to bushcraft and survival skills in Timbavati Game Reserve. 3x morning and 3x afternoon-evening guided open vehicle game drives led by qualified rangers and trackers - extended guided game drives and bush walks offered. Private transfers in air-conditioned vehicle with private, English speaking driver. One bottle of water per person per day on transfers. Private English speaking guide on day trips and excursions. Timbavati Game Reserve Conservation Fees. All Entrance Fees on Panorama Route. All Entrance fees on Cape Tours including Table Mountain Cable Car, Robben Island, Seal Island and the funicular at Cape Point. Flights to and from South Africa. Internal flight Hoedspruit to Cape Town. Lunch while on day tours. Additional night on safari (USD$325/per person) including 3 meals per day, teas and coffees, soft drinks and twice daily morning and afternoon-evening guided game activities led by qualified rangers and trackers. 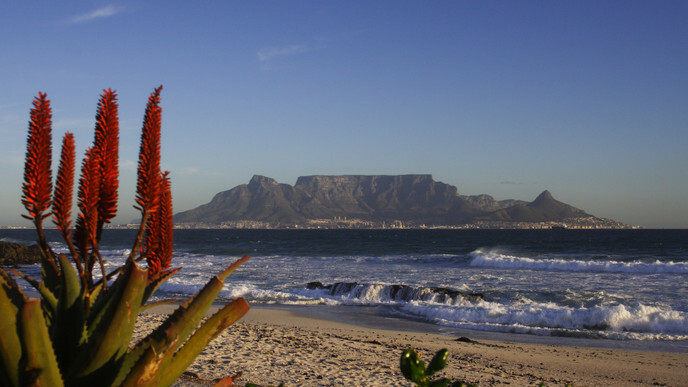 Additional night in Cape Town including breakfast (USD$75/per person). Welcome to South Africa! This morning you will be collected by your guide for your private 4-hour road transfer to Tomjachu Bush Retreat, where you will spend the following two nights. Your stay includes dinner and breakfast. Tomjachu is an exclusive, family-owned private nature reserve set in over 550 hectares (1300 acres) of mountain bushveld where family, peace, and nature embrace one another and special memories are forged forever. Whether you are looking for adventure or relaxation, with family, friends, or your loved one, Tomjachu offers something for everyone. On its trails, tracks and roads you can hike amongst the abundant plains game and through mountains and valleys, and mountain bike through the bush on easy or challenging routes. You can also enjoy a nature drive or guided bushwalk with an experienced ranger, or try your hand at fishing for bass and bream in the dams. After breakfast, your guide will meet you again for a full day private tour to visit all the attractions on the beautiful Panorama Route. Connecting the Lowveld and the spectacular Drakensberg, sandwiched between the Kruger National Park and the Highlands Meander, the historical Panorama Route is a scenic road in the Mpumalanga Province. The route features sensational views of fascinating rock formations, impressive waterfalls, scenic hiking trails, and a myriad of fauna and flora. The quaint little town of Graskop serves as the gateway to this wonderful route. Panorama’s undoubtable highlight is the verdant splendour of Blyde River Canyon - one of the world's largest green canyons. Some other popular natural attractions along the route include the spectacular Lisbon, Berlin, and Mac Mac Falls, Bourke's Luck Potholes, the Three Rondavels and the astonishing God’s Window. This is your last morning at Tomjachu Bush Retreat. Your guide will meet you after breakfast and transfer you to Timbavati Game Reserve where you will stay 3 nights at Bateleur Main Camp. You will drive via the Southern Part of Kruger National Park. The 3500-hectare Bateleur property is located in the heart of the world-renowned Timbavati Private Nature Reserve, an exceptional safari location. All artificial barriers between the Timbavati and the adjacent Kruger National Park have been removed and the Bateleur property itself shares unfenced borders with Kruger. Your stay in the Timbavati Game Reserve includes daily morning and afternoon-evening guided game activities led by qualified rangers and trackers. There are extended guided game drives and bush walks offered, as well as informative instruction relating to bushcraft and survival skills. Enjoy 3 meals per day, teas & coffees, soft drinks, juices and bottled water. On this exclusive property lies Bateleur Main Camp, an 8-bed up-market Safari Camp. This prime wilderness area boasts the Big Five, a large diversity of antelope species, the entire range of smaller predators, over 500 bird species, and a tremendous diversity of reptiles, amphibians, and invertebrates. Try And Spot The Big Five! Bateleur’s traversing area extends over 10 000 hectares of the Timbavati Reserve. Central Kruger is home to the largest impala, buffalo, kudu, giraffe, wildebeest, waterbuck, sable and zebra populations in the park, which are drawn to the region’s fertile soils and many trees, including the knobthorn and the marula and its edible fruit. These grazers, in turn, attract nearly half of the park’s lion population and many of its leopards, cheetahs and hyenas. Elephants and black rhino may be spotted, and a wide array of bird species can be seen all over, especially in the basalt plains. After the morning game drive and breakfast, you will be transferred to Hoedspruit, Eastgate Airport where you will check in for your flight to Cape Town. . On arrival in Cape Town, you will be met by your guide for the transfer to African Home Guesthouse where you will stay the following 4 nights. Your stay is in a luxury room and includes breakfast. The rest of the afternoon is at your leisure. Resting at the confluence of the Indian and Atlantic oceans, sandwiched between the slopes of the iconic Table Mountain and the glistening sapphire waters of Table Bay, the exceptionally scenic city of Cape Town is in a class of its own. Get ready for 4 amazing days here! Explore The Sights of Cape Town! This morning after breakfast, your guide will meet you at the guesthouse for a full day private guided Cape Town City, Robben Island and Table Mountain Tour. Including all the `must-sees` of any Cape Town day tour, this option is a geographical and cultural extravaganza, showing you Cape Town, from its historical beginnings to its dark days of apartheid and present-day spirit of triumph and hope in a democratic South Africa. The tour commences with a ferry trip across the bay to Robben Island. From the 17th to the 20th centuries, Robben Island served as a place of banishment, isolation, and imprisonment. Today it is a World Heritage Site and museum, a poignant reminder of the price paid for freedom. The excursion includes a return ferry to the island, a bus tour on the island and of the prison. Continue to Table Mountain where you shall reach the top by cable car, where an amazing view awaits. Once again, after breakfast, your guide will meet you for a full day private tour visiting Cape Point including Seal Island. You will also have the opportunity to do the Funicular Ride. This awe-inspiring tour to the towering headland known as Cape Point encompasses magnificent beaches, breathtaking views, and picturesque coastal villages. The Cape Peninsula is one of the world’s most scenic areas and stretches from the City Centre to Cape Point. Go on to historic Simon’s Town, a village with charming Victorian architecture, a naval base and a large penguin colony at the beautiful Boulders Beach. Boulders Penguin Colony is home to a growing colony of the vulnerable African Penguin. End the day with a visit to the well-known Kirstenbosch National Botanical Gardens. The Garden includes five of South Africa’s six different biomes. Head off to the heart of South Africa’s wine industry. Explore Stellenbosch and walk down the canal-lined avenues, in the shade of giant oak trees and beautifully preserved historic buildings. Travel over the Helshoogte. Pass to the town of Franschhoek, historically dating back to the 17th century when the French Huguenots arrived. Billed as the Gourmet Capital of South Africa, this charming town, in a most picturesque valley, retains a French Huguenot style. Enjoy a wine tasting before taking time to enjoy the fabled culinary skills of the Franschhoek chefs at one of the many award-winning restaurants. Go onward to Paarl, one of the Cape’s first farming districts. The town is set at the foot of the cluster of remarkable granite domes from which it takes its name. Even the most amazing trips eventually come to an end. You will be collected for the transfer to Cape Town International Airport where you will check in for your flight back home. Safe travels home and visit again soon!